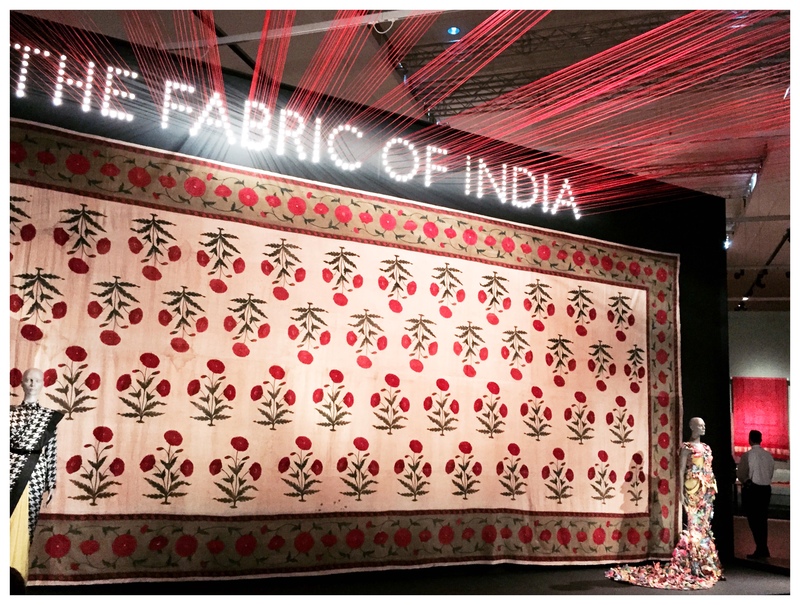 Earlier this week I was lucky enough to attend the Press Preview for the V&A’s lastest show- Fabric Of India. 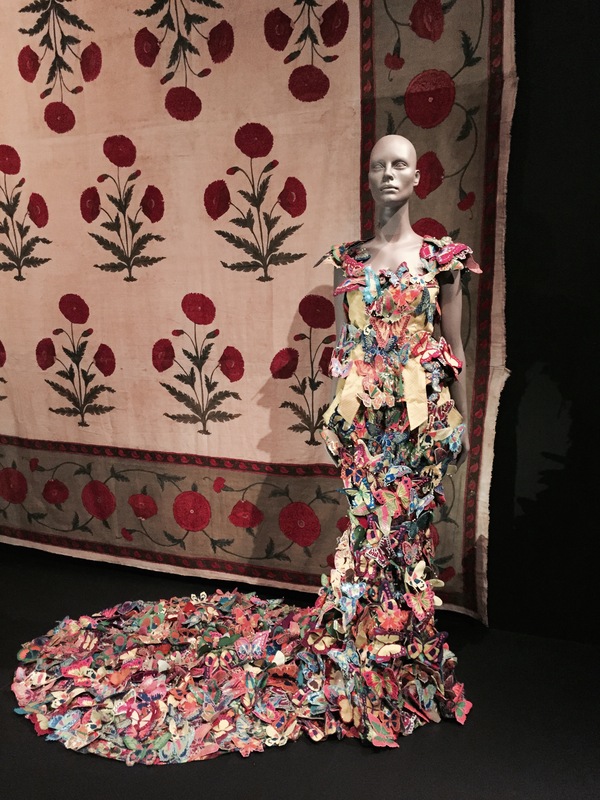 The curators Rosemary Crill and Divia Patel deserve a whole lot of praise as the exhibition truly is a wonderful celebration of Indian textiles and craftsmanship. 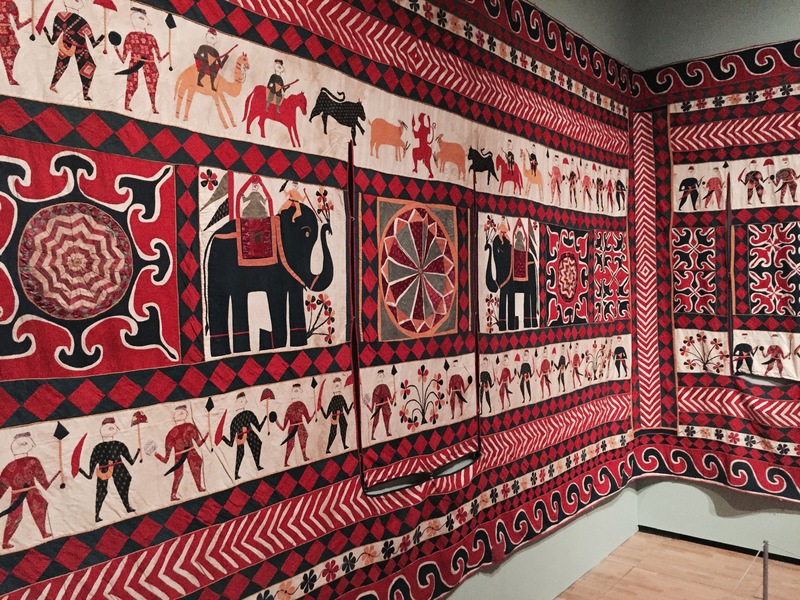 To be able to develop and decide upon a series of strong themes and exhibits to represent the large and diverse history of Indian textiles must have been an incredible challenge. 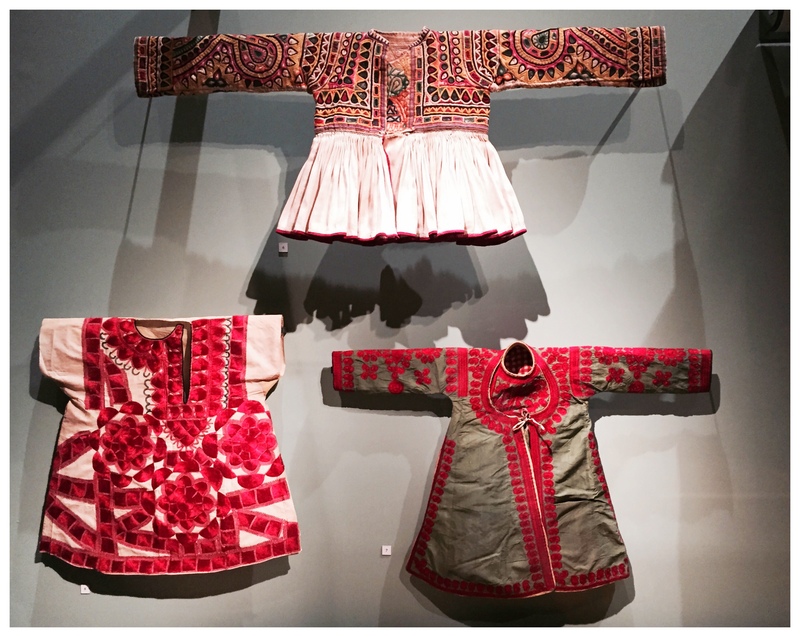 The exhibition is split into six themes- Nature & Making, How Textiles Are Used, Splendid, Global Trade , Textiles In A Changing World and Textiles Cutting Edge. 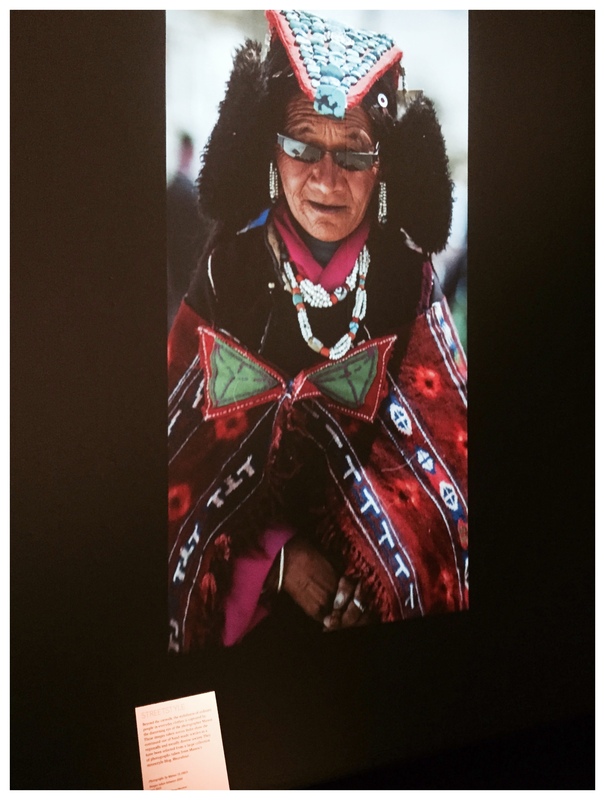 All six themes flow together beautifully and the exhibits are enhanced by Gitta Gschwendetter’s exhibition design. 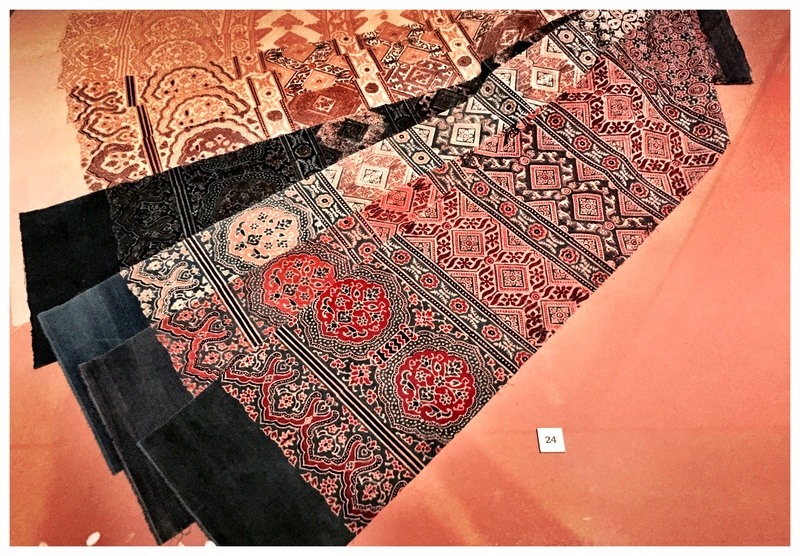 I loved the first section where dyeing/ weaving and printing techniques were explored and explained with samples and film as well as raw materials- like the dried pomegranate that’s used as a natural dye. The piece above like Tipu’s tent are hung up and allow viewers to wander inside and get a feel of the opulence and drama of both pieces. The last room was also a favourite. It would have been easy to finish with the likes of Sabyasachi & Abu and Sandeep brands that are known for their bridal wear and pieces which I guess the public would easily identify as Indian wear. Instead the last room featured the work of contemporary designers. 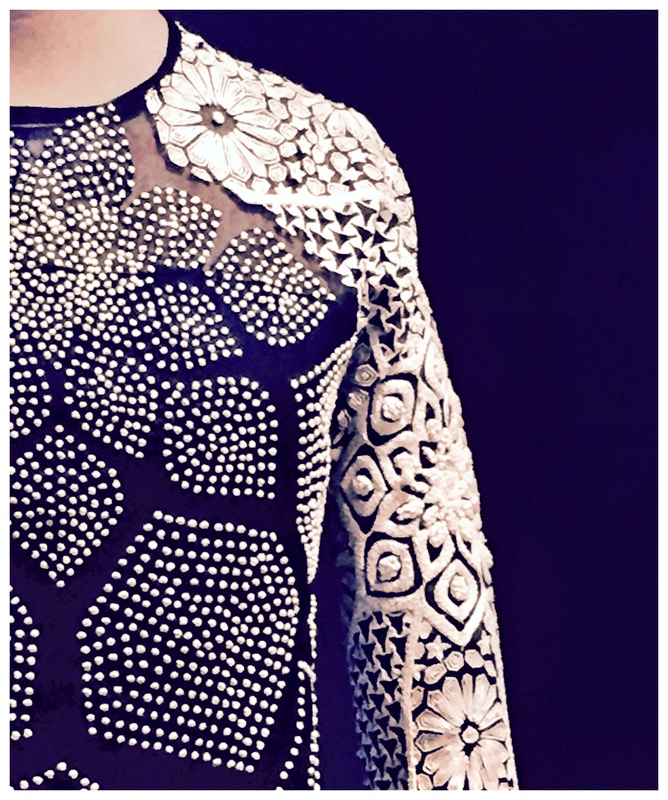 Designers that are developing their own design aesthetic and using traditional elements in non traditional ways. 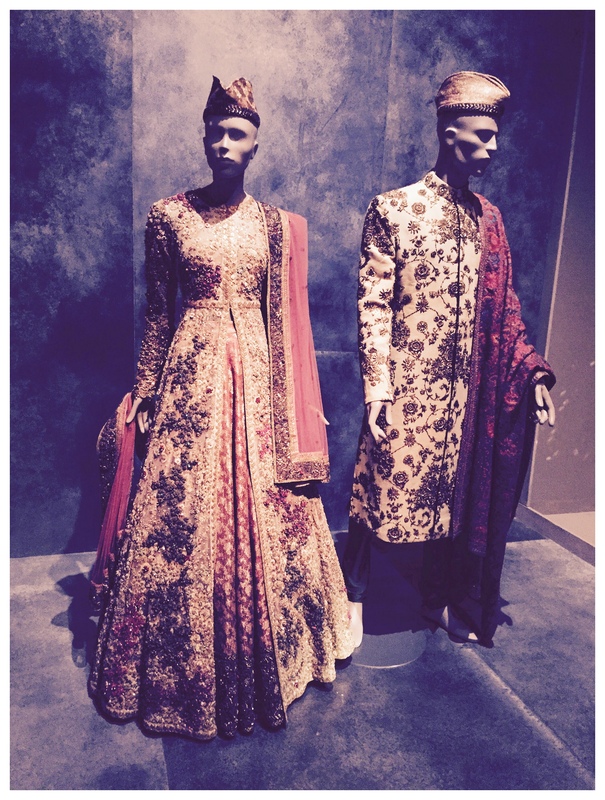 Manish Arora and Rahul Mishra were the most internationally recognised names featured in the room and both their pieces were beautiful. I loved the fact that designers like Kallol Datta and Abraham & Thakore were featured also- designers that are not known outside of India. 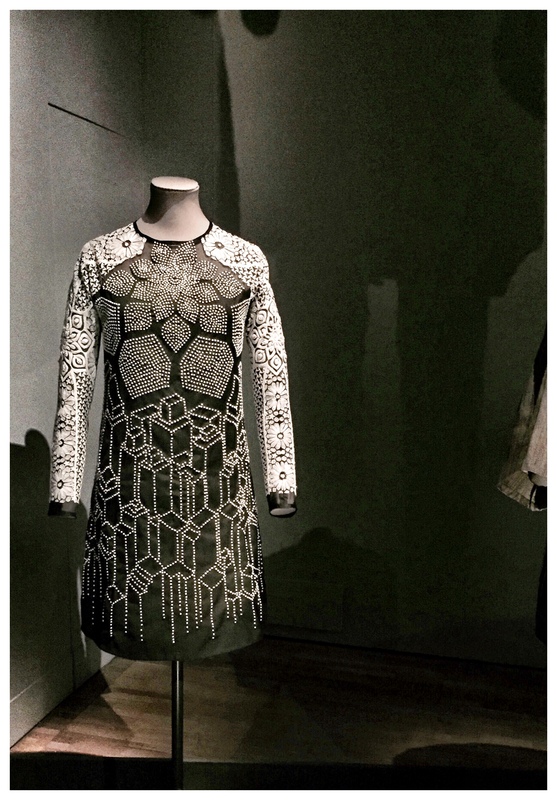 I met Divia Patel, co-curator of the exhibition a couple of months ago and she explained the importance of the V&A acquiring pieces by new and upcoming designers. So their part in the great history of Indian fashion could be archived, talking to her gave me a small insight in to how varied and interesting a curators role is. I thoroughly enjoyed the exhibition and my post really does skim through a few of my personal favourites- it’s def a must see show and I know I’ll be making a couple more visits in the next few weeks!